Conflict is inevitable in any relationship. It isn’t beneficial to totally avoid conflict; you need to learn how to bring up and resolve disagreements in a healthy way. 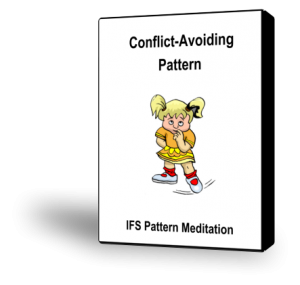 If you have a Conflict-Avoiding Pattern, you tend to regularly sidestep dealing with normal conflict and confrontation. You bring up something, but couch it in such a nice way that the person can’t even tell what you are upset about. Do you give in and accept the blame even though you don’t believe you’re at fault, just so the confrontation will end?